Keeping all your electrics running smoothly, efficiently, safely and compliant with the latest regulations is important to us. Our commercial and industrial customers need to have their premises tested every five years; while home owners should be testing their electrics every ten years. We regularly conduct all of these tests and provide the necessary reports and certificates as part of our testing & commissioning service. 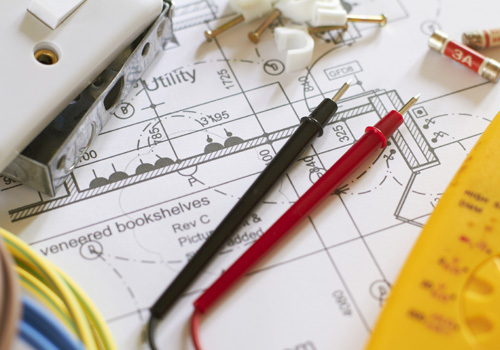 For minor works replacing any electrical fitting such as socket outlets, light fittings and control switches; or other maintenance and repair work we will provide a Minor Works Certificate which shows that we have tested all of our work and made sure it is safe. All employers, landlords, letting agents, and retailers are legally obliged to ensure their staff, tenants and customers are completely protected when using any electrical equipment in their buildings. Our PAT electricians will visit you on site to test, and fix where required, to ensure your electrics are fully compliant. We will work with you to fulfil your safety obligations by providing a reliable and cost effective testing service for both Emergency Lighting (inclusive of Central Battery Unit systems) and Fire Alarm Inspection and Testing. On the third anniversary of your installation, your emergency lighting unit should be assessed by one of our qualified electricians who will disarm it and perform a full three hour test of the lighting unit and to check it complies the latest British Standard. We will then fix any faults and record it in your Emergency Lighting Log Book. A properly designed and installed system will ensure that all inhabitants as well as the security and fire services have adequate time to evacuate the building to prevent any injuries and minimise property damage. All fire alarm and detection systems need to be tested and inspected in accordance with BS5839 pt 1 and will involve a fire alarm drill. If there are any problems, your TDS engineer will prepare a report making the necessary recommendations before a Test Certificate is awarded. All of our electricians are approved and authorised to issue a Completion Certificate for the work conducted within 30 days of the completion of the work. A notification will also be sent to your local authority. In addition, you will receive a completed Electrical Installation Certificate which shows the work was tested for safety. We regularly conduct these tests for our clients and provide a full Electrical Conditioning Report. This is a detailed report following an inspection and testing of the electrics at your premises or home. It is not a certificate. It provides an assessment of the condition of your electrics or electrical installation against the specific requirements of the edition of BS 7671 current at the time of the inspection, irrespective of the age of the installation.